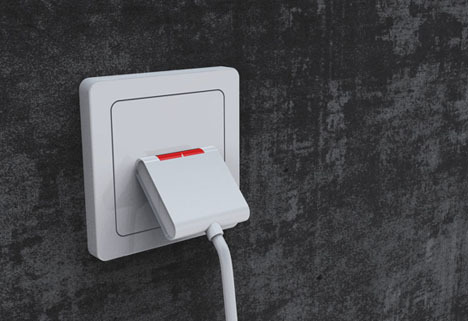 Until electricity is entirely wireless, the question of how to deal with dense plugs will continue to nag at designers – this solution, while nifty, poses a new problem while trying to solve the old one. 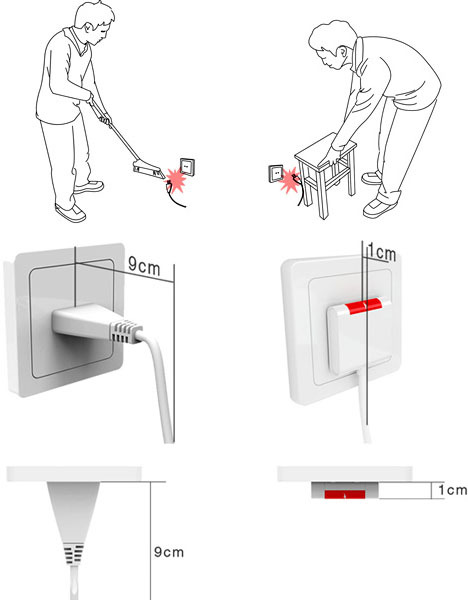 There are angled, bent and flush-fitting solutions, but when you go to change configurations (like standing up from a low seat with your laptop) your cord may have other ideas. 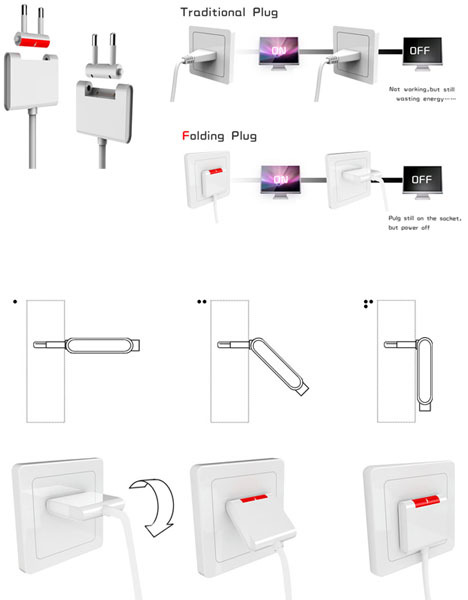 Huang Guanglei‘s vision for this flexing plug looks perfect, but in addressing the issue of mobility it creates a problem of power. Specifically, it is designed to flip up and down not just to accommodate movement but also to turn on and off. This last tweak is neat insofar as it results in an adjustable dimmer switch for lights, but less functional for something that uses continuous power to run.